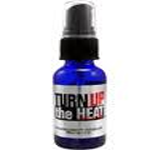 Turn Up the Heat is another product that claims to contain human pheromones that can help men turn up the heat around women. The product claims of the manufacturer and seller aren’t backed by hard scientific data that can be verified. Customer reviews concerning the ability of Turn Up The Heat to make men more attractive to women are warm at best. This product was mildly popularity with men when it first arrived on the market, but the popularity of this product appears to have decreased during the last year. It could be some men that have tried this product aren’t starting to agree that it just doesn’t seem to work for them. Turn Up The Heat appears to be just a product supported by market hype making claims that aren’t supported by hard scientific data. This fact seems to have been noted by men who have decided not to give this product a try. This could be why the price is so low for a product that the manufacturer and seller claim can help men attract more women. We find it hard to believe that Turn Up The Heat will be tried by more men in the months and years ahead.